10 Inspiring Movies About Football You Have To Catch! It’s football season and MME is celebrating by creating our very own fantasy football movie board. Our huddle started with hundreds of sports cinema contenders, but we painstakingly whittled our top choices down to the Top 10 inspiring movies about football that we feel score touchdowns with outstanding acting and directing, iconic scenes, unforgettable storylines and a permanent place in sports film history. We found it hard to rank these inspiring movies, so they are placed in the order of release date; and there are no incomplete passes in the drama, interceptions with pacing, or turnovers in dialogue. HUDDLE: This heartwarming biopic is headed by acting legend Burt Lancaster and it tells the inspiring true story of Native American Olympic athlete Jim Thorpe who, during the early 1900s, survived poverty, racism and extreme personal hardships to become what many sports enthusiasts called “the greatest American football player” and “the greatest athlete of the 20th century”. THE PLAY: The movie skillfully displays Jim Thorpe’s life from childhood to adulthood from his successful college career as a football and track superstar to his gold medal wins in the decathlon and pentathlon in the 1912 Olympics. From there, the story turns to reveal the obstacles he faced in his professional and personal life, but he triumphs over both. Then, Thorpe marries, but faces unbearable heartache when his child suddenly dies. His marriage falls apart and temporarily, so does he; but once again, “Pop” Warner saves the day, pulling Thorpe out of despair and back into his rightful place in the history books. TOUCHDOWN: The movie ends with Thorpe being inducted into Oklahoma’s Hall of Fame. HUDDLE: This touching ABC Movie of the Week is based on Pro Football Hall of Famer Gayle Sayers and his autobiography “I Am Third”, which reveals his touching personal account of the close friendship he shared with his Chicago Bears teammate Brian Piccolo, a running back who fought courageously, but ultimately lost his battle with terminal cancer. 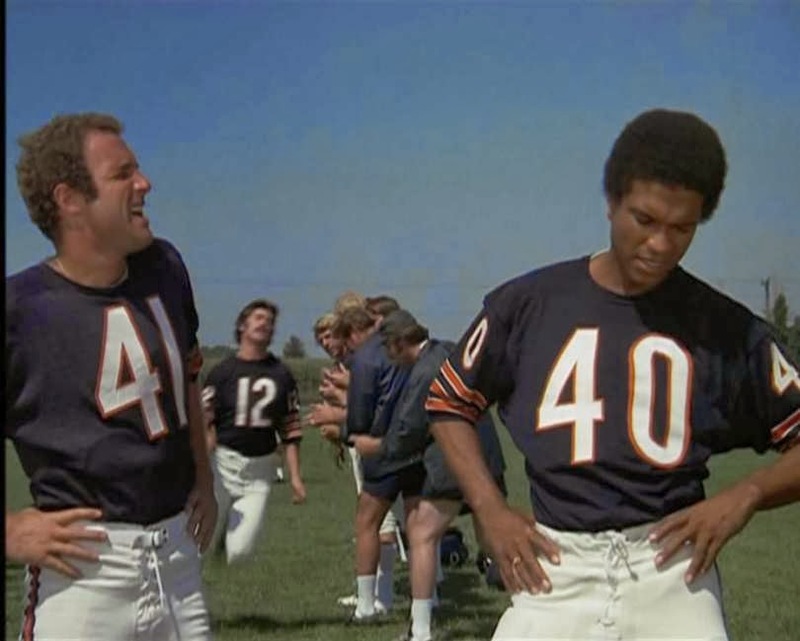 THE PLAY: This great sports biopic was skillfully acted by Hollywood icons James Caan and Billy Dee Williams and begins with recent college grads Brian Piccolo (Caan) and Gayle Sayers (Williams) meeting for the first time at the tryouts for the Chicago Bears. Sayers was a standout on the field while Piccolo had to work a little harder to keep up. And even in the midst of the vast racial divide of the late 60s, fate steps in and Sayers and Piccolo end up as roommates. They quickly overcome their prejudices and build a friendship as close as any two blood brothers born to the same mother. After tryouts, they both make the team and start their professional football careers with the Chicago Bears. When Sayers is hurt, Piccolo purchases a weight machine and takes it to Sayers’ home to aid in his recovery—which he quickly does and goes on to rush for 160 yards in a 17- 16 win over the Los Angeles Rams. Shortly thereafter, Sayers notices that Piccolo is starting to rapidly lose weight and the coach reveals that Piccolo has terminal cancer. But the courageous and inspiring Piccolo never lost hope and Sayers shows great support to Piccolo and his wife and even volunteers to donate blood as Piccolo’s condition worsens. While in the hospital, Piccolo receives the “George S. Halas Most Courageous Player Award” and at the ceremony, Sayers makes a powerful speech dedicated to his best friend. Before long, the inevitable happens and at the age of 26, Brian Piccolo dies quietly with his wife at his bedside. TOUCHDOWN: The TV movie was so popular that it was also briefly shown in movie theaters with a premiere held in Chicago. HUDDLE: This classic sports comedy film stars a young and handsome Burt Reynolds who plays the fictional pro football quarterback Paul “Wrecking” Crewe, a certified bad boy who was released from the NFL for point shaving—but, he’s imprisoned for stealing his ex-girlfriend’s Maserati. The movie expertly weaves comedy and drama along with a thrilling football game between the convicts and the prison guards. THE PLAY: The movie opens in Palm Beach, Florida with a high speed car chase between former football QB Paul “Wrecking” Crewe and the police. Crewe is eventually caught and receives an 18 month prison sentence. At first, the inmates reject him because of their disdain for his reputation of point shaving while in the NFL, but they eventually come around and accept Crewe as one of the gang. The sadistic prison warden coaches a semi-pro football team comprised of prison guards and he asks Crewe to put together a team made up of prisoners. Crewe reluctantly accepts and forms the “Mean Machine”, a team comprised of the meanest, craziest and biggest prisoners that he can find. In the meantime, there’s an attempt on Crewe’s life, but the perpetrator accidentally kills another inmate who was also a friend of Crewe’s. The evil warden threatens to blame Crewe for the murder of his friend and forces Crewe to agree to purposely throw the football game by at least 21 points. In return, the warden promises that none of the inmates will be hurt during the game. The warden reneges on his promise and tells the prison guards to “inflict as much physical punishment on the prisoners as humanly possible”. When Crewe sees his friends being pummeled by the guards, he realizes that the warden has lied and after half time, Crewe regroups and leads the “Mean Machine” to a nail-biting victory by making the winning touchdown. Crewe wins back the faith of his fellow prisoners and they celebrate their 36-35 win against the guards. TOUCHDOWN: The film’s popularity has spawned 3 remakes: 1) In 2001 as “Mean Machine” starring Vinnie Jones, taking place in England; 2) In 2005 as “The Longest Yard” starring Adam Sandler and featuring Burt Reynolds in a supporting role; and 3) In 2015 as “Captain Masr” (Egypt’s Captain) starring Mohamed Imam, taking place in Egypt. HUDDLE: This brooding teen angst touchdown stars Tom Cruise as a high school student desperately seeking a scholarship to college so that he can escape the all-too-common fate of his father and brother who are stuck in dead-end jobs at the local steel mill. THE PLAY: High school defensive back and well-liked student Stefanan “Stef” Djordjevic and Coach Nickerson clash in the locker room after the loss of a big game to the small town’s undefeated rival high school team. A war of words and blame ensues, ending in Coach Nickerson kicking Stefan off the team, disqualifying him for any chance at a football scholarship. This angers many of the townspeople and they retaliate, along with a reluctant Stefan, by vandalizing Coach Nickerson’s home and yard. Afterwards, Stefan faces many personal challenges and spirals into a deep depression. This causes Stefan to angrily confront Coach Nickerson about his dilemma, which forces Coach Nickerson to reassess his own actions. Soon thereafter, Coach Nickerson realizes that he made a mistake and is truly sorry for blocking Stefan’s chances of getting a college scholarship; which he now understands, is also Stefan’s only way out of that dying steel mill town. TOUCHDOWN: When Coach Nickerson is offered a coaching position at a college in California, he offers Stefan a full scholarship—which he gladly accepts. HUDDLE: Loveable nerd and often bullied Lucas (Haim) is befriended and defended by popular high school jock Cappie (Sheen) who is dating Alise (Thorne-Smith). Lucas’ best friend Rina (Ryder) wants to be more than just friends, but Lucas is too busy to notice because he’s smitten with Maggie (Greene), the new girl in town. To get Maggie’s attention—despite being somewhat frail and underweight—Lucas joins the football team to try and impress her. THE PLAY: Maggie moves into town and Lucas is more than happy to show her around and introduce her to all of his favorite hideouts. He mistakes her friendship for romantic interests and is crushed to find out that she only wants to be friends. Once school starts, Maggie begins to have feelings for Cappie and becomes a cheerleader to be close to him. It’s not long before Cappie begins to have feelings for Maggie too which causes a rift between him and Alise. Lucas is also jealous and resentful and as a result, he and Cappie’s friendship become strained. Lucas decides to take action and tries out for the football team, believing that Maggie will want to date him if he’s a jock. Surprisingly, Lucas makes the team, but suffers great embarrassment and ridicule from his teammates because of his small size. And he’s further humiliated when he tries to kiss Maggie, but is flat-out rejected. His anger reaches a fever pitch when he sees Cappie and Maggie kissing and this pushes him to make a reckless move. He removes his helmet during a game and receives a near fatal injury that lands him in the hospital. Maggie, Cappie and Rina rally at Lucas’ bedside and he’s humbled by their show of love and friendship. TOUCHDOWN: Lucas returns to school and the bullies that normally terrorize him are waiting for him at his locker. Lucas ignores them, opens his locker and to his surprise, hanging there is a varsity letter jacket with his name and jersey number clearly displayed. Maggie, Cappie and Rina are there too, but it’s the bullies that lead the school in applause for Lucas and his fighting spirit. 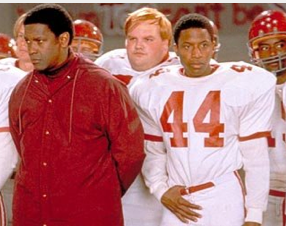 HUDDLE: In this inspirational footballer biopic, Sean Astin convincingly plays Daniel Eugene “Rudy” Ruettiger, a Joliet, Illinois native who never gave up on his dream to attend the University of Notre Dame even though he faced insurmountable odds, including poverty, failing grades, and minimal athletic ability compounded by a small physique. THE PLAY: Rudy is a dreamer and his dreams are much bigger than the steel mill town that he lives in. After high school, Rudy takes a job at one of the local mills, but after his best friend is killed in an explosion on the job, Rudy quits and focuses all of his energies on his Notre Dame quest. His first attempt to register at Notre Dame fails because his grades aren’t good enough. After that, Rudy enrolls in a junior college near Notre Dame’s campus hoping to one day transfer to Notre Dame. In the meantime, he has no money so he befriends a custodian who works at Notre Dame and the custodial worker allows Rudy to sleep on a cot in his office near the Notre Dame stadium. While attending class, one of Rudy’s professors and former students, can see that Rudy is intelligent and discovers that Rudy’s poor test scores are because he is dyslexic. Rudy quickly learns to navigate around his dyslexia and soon after, his grades rapidly improve. The junior college professor helps Rudy achieve his dream of not only atteding Notre Dame, but also playing on the famous Fighting Irish’s football team. His lifelong dream is finally realized and Rudy is accepted into Notre Dame as the only “non-scholarship” player. This status stigmatizes Rudy and the coach allows Rudy on the team, but won’t list him on the roster as one of the active players. This enrages Rudy and he quits the team, but his custodial friend gives him a pep talk on integrity and Rudy decides to try and get back on the team. At first, the coach denies Rudy’s pleas to rejoin the team, but Rudy’s teammates rally behind him and protest on Rudy’s behalf. The team swarms the coach’s office and one by one, lays their jerseys on the coach’s desk while simultaneously threatening to quit the team if their demands to let Rudy play aren’t met. The coach caves and allows Rudy back on the team just in time for the final game of the season. The coach puts Rudy in the game on the very last kickoff and like a Phoenix, Rudy rises to the occasion. In a thrilling climax to an emotionally charged journey to realizing his dreams, Rudy sacks the quarterback in the final seconds of the game leading Notre Dame to victory over Georgia Tech. The crowd goes wild and Rudy is carried off the field on his teammates’ shoulders. TOUCHDOWN: Daniel Eugene “Rudy” Ruettiger graduated from Notre Dame in 1976 and he was such an inspiring figure to his family that all of his brothers went on to earn college degrees too. To this day, Rudy travels the world giving inspirational speeches that are inspiring people everywhere to never give up on their dreams. HUDDLE: This sports-themed romantic comedy-drama stars an electric Tom Cruise as Jerry Maguire, a jaded sports agent who has a life-changing epiphany that changes his mindset and the trajectory of his life and those closest to him. THE PLAY: Top notch sports agent Jerry Maguire has it all: beautiful fiancé (Kelly Preston), great paying-high profile job, and lots of money. 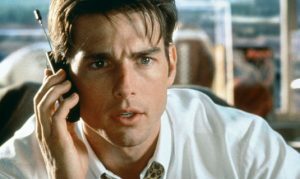 What he doesn’t have, but really wants, is a conscience and when a light switch flicks on in his mind, Jerry Maguire wakes up to what he believes is a newfound truth regarding his life and what he is and is not doing with it. Driven by this new way of thinking, Maguire composes a searing mission statement that details the debauchery of the sports agency business. He delivers a copy to each of his co-workers and at first, he receives “fake” praise for his courageous rage against the machine; but soon thereafter, he is fired for his honesty and systematically loses his entire roster of sports clients, except for loose cannon wide receiver Rod Tidwell (Gooding, Jr.). Embarrassed and humiliated, Maguire storms out of the office. 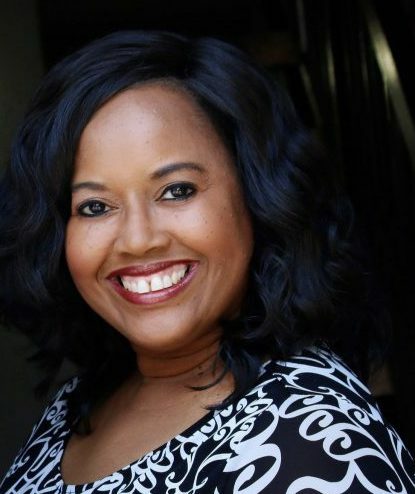 Dorothy Boyd (Zellweger), a secretary at the sports agency also believes in Maguire’s mission statement and leaves the agency to become Maguire’s personal assistant. Maguire’s life continues to spiral downward as he also loses his fiancé along with a high profile client that he was close to signing. This forces Maguire to focus on Tidwell, his only and somewhat obnoxious client. They clash at first, but become close friends and confidantes. At the same time, Maguire and Dorothy’s business relationship grows into a full-fledged romance. Jerry works through his confusion and self-doubt and with Tidwell’s help; he comes to realize that he truly loves Dorothy and her adorable son (Lipnicki). He and Tidwell’s relationship is also tested when Tidwell is hit so hard during a big game that he’s knocked unconscious. It’s at this very moment that Jerry’s mission statement comes alive in his spirit and he realizes that being Tidwell’s friend is more important than being his sports agent. Tidwell regains consciousness, jumps to his feet and becomes the hero of the game. Tidwell’s newfound fame solidifies Maguire’s place as a successful and thoughtful sports agent; and it also forces the press to revisit the points raised in Maguire’s mission statement. TOUCHDOWN: “Jerry Maguire” shares a top rung in sports film history and it earned Tom Cruise a Golden Globe for Best Actor and Cuba Gooding, Jr. won an Oscar for Best Supporting Actor. This sports flick fan favorite also sparked several phrases that are now a part of the American lexicon: “You complete me”, “Show me the money”, “You had me at hello” & “Help me to help you”. And who could forget “Quan” – which stands for “love, respect, community and money”. HUDDLE: This searing true story of legendary African-American coach Herman Boone (Washington) follows Coach Boone as he successfully introduces a racially diverse football team at the recently integrated T. C. Williams High School in the city of Alexandria, a suburb of Washington, DC in 1971. THE PLAY: The film opens with T. C. Williams High School going through the growing pains of integration. The school administration hires Coach Boone, a black man with a great coaching reputation and unorthodox style. Boone replaces Coach Yoast, the beloved white head coach of the Titans. As a show of respect and an attempt to keep the peace, Boone offers Coach Yoast an assistant coaching position. At first, Yoast turns it down, but he changes his mind when the white high school athletes threaten to quit the team (and potentially lose their scholarships) if Yoast leaves. Boone settles into his position as head coach and as black students are bused into the high school, he starts to recruit black athletes for the football team. At first, the white and black athletes completely resist playing with one another, but after Yoast’s unconventional but successful coaching methods along with his successful motivational, inspring speeches, the team establishes racial harmony and mutual respect. To add to the pressure, Boone is threatened by school board members that if the Titans lose even one football game, he will be fired. Boone’s up for the challenge and his focus and determination leads the Titans to an undefeated season. The community slowly rallies behind Boone, but during the championship game, it becomes evident that the referees are calling bogus plays against the Titans based on racial bias. Yoast confronts the white refs and threatens to expose them if they don’t start calling fair plays. The refs back off and the Titans go on to fairly and handily win the championship. Coach Boone celebrates with his team and marches into the sports history books. TOUCHDOWN: Coach Boone remained head coach of the Titans for five additional years and Coach Yoast was right by his side as assistant coach. Boone and Yoast remain friends to this day and in 2014, both men were inducted into the T.C. Williams Hall of Fame. HUDDLE: Deemed as one of the greatest high school football dramas, Friday Night Lights is based on the true story of a small town in Odessa, Texas obsessed with their local high school football team the Permian Panthers. If the team rises or falls, the desperate townspeople hang all of their hopes, frustrations, prejudices and blame on the back of the football coach, skillfully portrayed by Billy Bob Thornton. THE PLAY: Coach Gary Gaines (Thornton) is constantly juggling the conflict he faces from the school administration, the parents, the community and the players. Coach Gaines is desperate for a win and inadvertently pushes his star running back James “Boobie” Miles (Luke) to the point of injury. Miles now walks with a permanent limp and has no future in football and sees little hope in life. The townspeople are angered by Coach Gaines irresponsible coaching and demand his resignation. While the excitement on the gridiron ensues, the players face their own personal demons at home. Gaines forges ahead and the Panthers secure a place in the finals. The Panthers play a great and skillful game, but they narrowly lose the championship game to Dallas Carter High. A deflated Coach Gaines takes the senior players’ names off of his roster, but underclassman Stoney Case’s name remains on the list. We don’t get to see it played out in the film, but this revelation eludes to the fact that Case along with Chris Comer would go on to lead the Permian Panthers to the 5A state title the following year. TOUCHDOWN: H.G. Bissinger wrote the popular book entitled “Friday Nights Lights: A Town, A Team and A Dream”. This highly lauded book spawned the successful film “Friday Night Lights” along with the critically-acclaimed TV series of the same name. HUDDLE: Matthew McConaughey gives a winning portrayal of head coach Jack Lengyel in this heartbreaking historical drama biopic that depicts the 1970 plane crash that claimed the lives of 37 football players on the Marshall University Thundering Herd football team, along with five coaches, two athletic trainers, the athletic director, 25 boosters, and a crew of five. THE PLAY: In the movie’s beginning, the somber cloud of the fatal plane crash that took those 75 precious lives looms over Marshall University and the entire Huntington, West Virginia community. Marshall University is deeply moved and forever changed by this tragedy, but at the urging of the students and townspeople, the sports program forges ahead with the help of new head coach, Coach Jack Lengyel (McConaughey) and Coach Red Dawson (Fox), the sole surviving member of the previous coaching staff. Marshall University and the town of Huntington begin to rebuild and little by little, under Coach Lengyel’s leadership, a football team is quickly rebuilt—even though some of Coach Lengyel’s best prospects enroll in the sports program at rival West Virginia University. But, he forges ahead and assembles a football team filled with the Marshall football players who had missed the doomed flight along with young and inexperienced players eager to help rebuild the team. Coach Lengyel helps the athletes regain their confidence and in time, they solidify as a team. But, their lack of experience shows and they lose their first game 29-6. It’s a devastating loss and crushing blow to Coach Lengyel; but the team recovers and continues to practice and proclaim that “We Are Marshall”. This mantra fuels the town and the team and Marshall goes on to win their next game 15-13 against Xavier University. TOUCHDOWN: The film was based on a popular book and in the end credits of the movie, clips are shown of a few of the prominent NFL players who attended Marshall University: QB Chad Pennington; wide receiver Randy Moss; and QB Byron Leftwich. The real Will “Red” Dawson and Coach Lengyel also had cameos in the film.